We provide round-the-clock comprehensive intensive care services for children of all ages. Our patients present with failure of one or more body organ systems and may have acute or chronic illnesses. 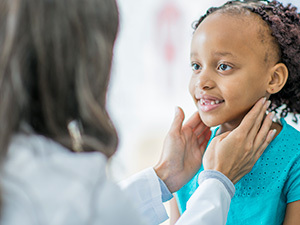 Experienced pediatric critical care board-certified physicians provide 24/7 in-house coverage at Children’s Hospitals-Minneapolis and St. Paul, and Gillette Children’s Specialty Healthcare. The pediatric intensive care unit (PICU) team is composed of many different and important disciplines such as nursing, pharmacy, respiratory therapy, nutrition, social work, and care management. The PICU also provides higher nurse to patient ratios with many patients receiving one-to-one nursing care. Parents are encouraged to participate in daily rounds on patients to improve communication and education. We also provide consultations and critical care services for the pediatric trauma and pediatric critically ill patients at both North Memorial Medical Center and Regions Hospital.